Few experiences in life are as unnerving as waiting at a restaurant table (or on a street corner) for the arrival of your blind date. As the appointed time approaches, paranoia sets in: Why is that guy looking at me so funny? Does the maitre d’ know why I’m here? Is my date secretly here already, scoping me out from a distance? The mind races. Get a good venue. A good dating venue will reduce the tension and calm the butterflies in the stomach. It’s less stressful to meet your date at a sleepy lounge than at the most happening juke joint in town. If you’ve agreed on the later, try waiting outside in your car or hang loose on a nearby corner and pretend to be observing pedestrians. Don’t wait inside, where you’ll just wind up standing around aimlessly and jostling passing waiters. This won’t help your nerves a bit. Get some idea of who you are waiting for. If you get to know your dating partner via the internet, you should at least have some idea how your partner look like (unless he/she posted a photograph that was taken a long time ago). 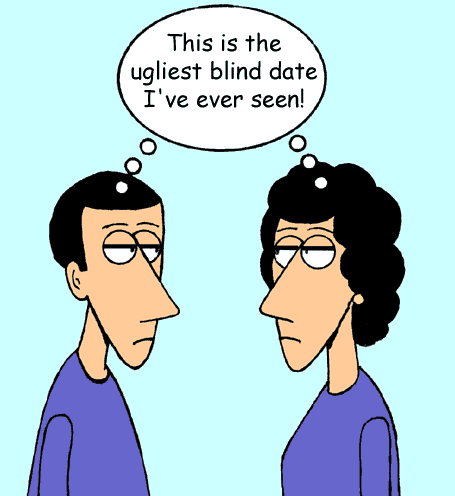 A truly blind date, though, requires a certain level of detailed description beforehand, lest your potential soul mate walk right past you and chat up a complete stranger. At the very least, both of you should communicate with each other on what you will be wearing on the appointed day. Stay calm! No matter where you choose to wait for your date, just stay calm. Fidgeting, gesticulating and staring at passersby will only earn you strange looks. Don’t forget that the first impression is extremely important. You don’t want to be mistaken for a nerd or psychopath! Don’t be afraid to ask. If the time for your rendezvous has long since passed, then you have no choice but to hunt for someone who fits the approximate description and look as unhinged as you do. You date partner might have gone in to the restaurant (if you choose restaurant as your dating place). Approach and ask someone who you think might be your date partner: “Rose?” and she will respond, “No, sorry.” Sometimes the stranger’s name might coincidentally happen to be Rose, in which case you’ve wandered into a romantic comedy. Don’t bait. 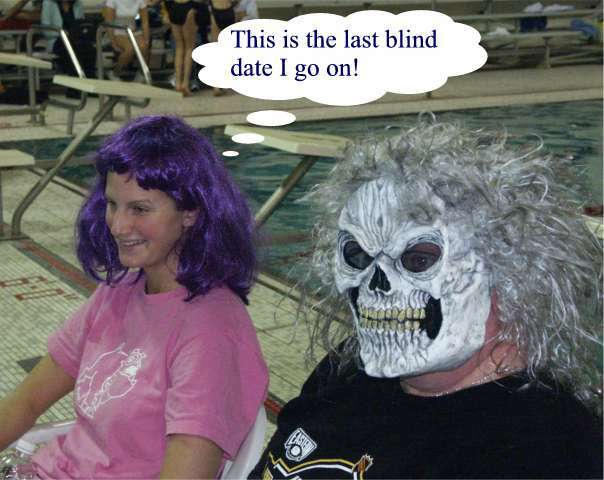 Nobody can wait for a blind date without breaking a sweat. It’s perfectly fine to be nervous and anxious, but it is definitely not right to simply go home before the appointed time. You should wait at least half an hour longer than the appointed time if he/she is late. Remember that anger is a stronger and more unpleasant emotion than nervousness and your date partner would be extremely angry to be stood up. In comparison, your queasiness seems a lame excuse for such rude behaviour. And you’d definitely have burnt your bridges for a happy romantic relationship. This entry was posted on Monday, January 29th, 2007 at 7:43 am	and is filed under Advice and Guide. You can leave a response, or trackback from your own site.